I don’t know about you, but I think feeding babies is way more complex than one would think before actually becoming a parent. Breastfeed or not? Which formula? How often? Breastfeed AND formula? Is he/she getting enough? Is he/she getting too much? Milk allergy. Soy allergy. Reflux. Organic? 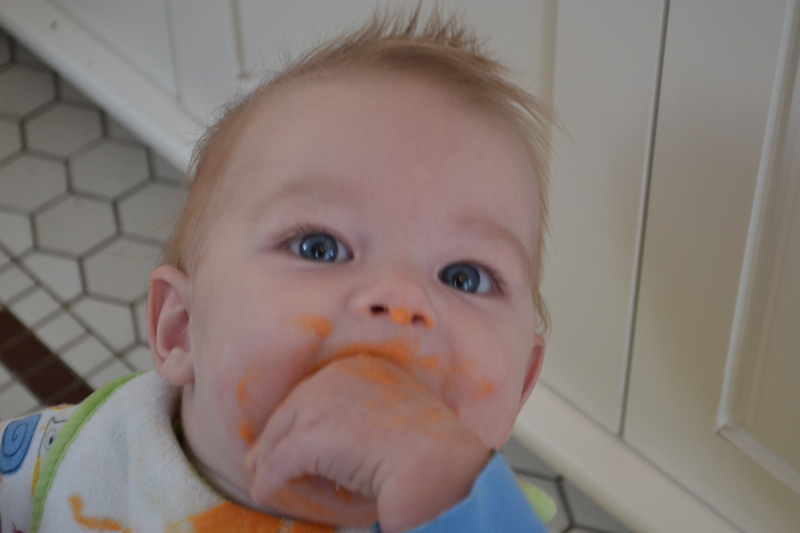 When do I start solids? Veggies first? Fruit first? Seriously. If I’ve learned anything, it is that you just go with your instincts. Family will tell you one thing. Books will tell you another. Online articles and posts will make you want to give your child a bottle until he/she is twelve when you read about what can happen if there is an allergy issue. Doctors will give you the facts, but they aren’t with your child all day long. The one who knows best is you. So, just go with it. In my case, I was able to breastfeed part-time. Anderson had a milk protein allergy, so I had to completely give up dairy and change his formula. I am a working mom, so when I went back to work, my milk supply just went down and down and down until I finally gave it up entirely when he was about 5 months old. He also has “happy” reflux and was a little underweight on that chart the pediatricians always refer to, so we had to delay starting solid food until he was six months old. I was chomping at the bit to feed him solid food! I had been planning this since before he was born. I am not a huge squash fan, but I bought a bunch of squash seeds because I wanted to make my own baby food. I planted extra carrots, too. Ironically, my squash got some sort of disease and died and my carrots got attacked by ants, but no matter. I was still determined to make my baby’s food. 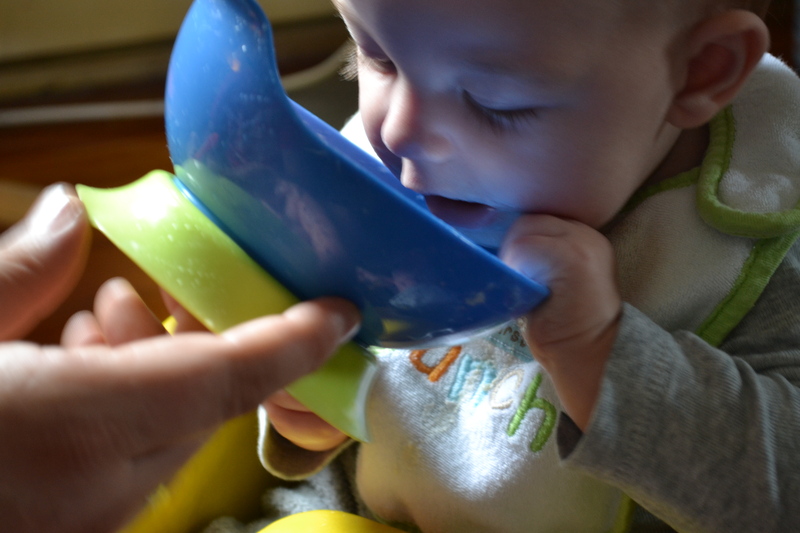 I bought a food mill, bowls, and a spoon when he was only a few months old because I was twitchy even then. Here is a tip for you environmentalists. There are alternatives to plastic. 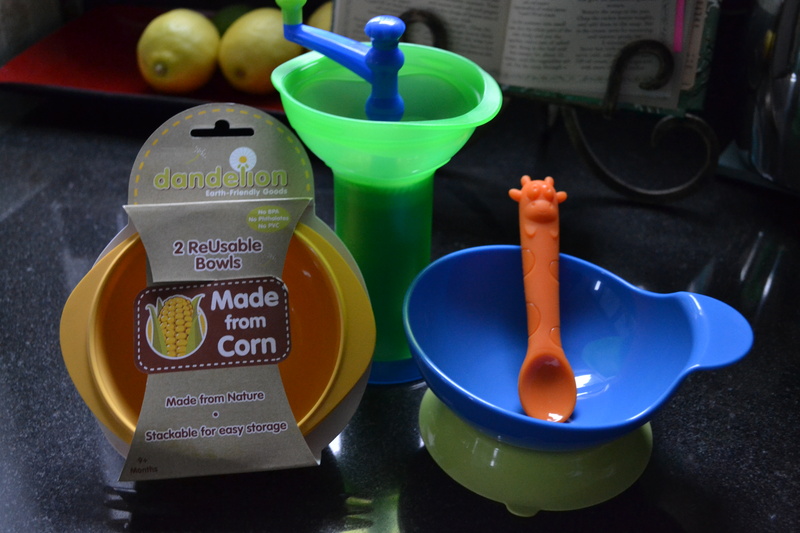 I found these fantastic bowls made out of corn. I’m not kidding you. They look like plastic, but they are made of corn and will eventually break down. So, I read through these books, bought a freezer for my basement, and got to work. My doctor gave me this plan and it worked beautifully. First 3 days: just cereal. 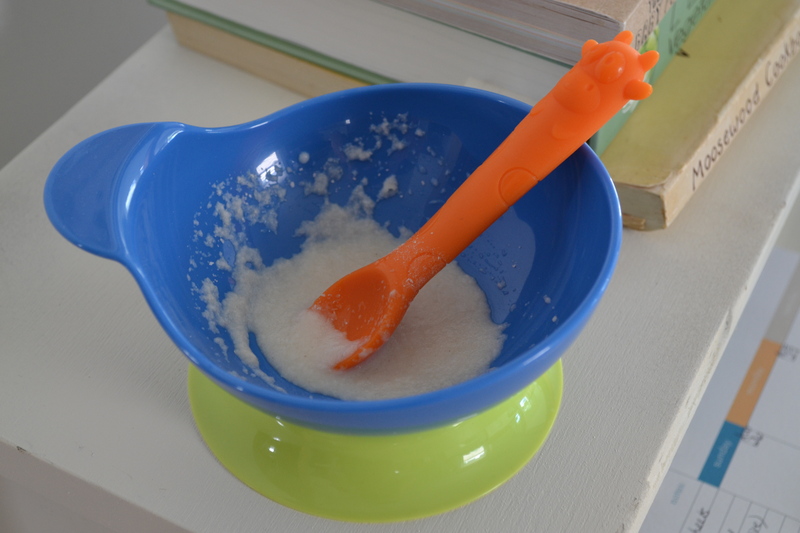 The recommendation is to start with rice, but we were already putting that in his bottles to counteract reflux, so we started with oatmeal. Next 3 days: your favorite orange or yellow veggie. Why veggies first? If your baby starts with fruit, he/she will know “sweet” first and then may be turned off by vegetables. 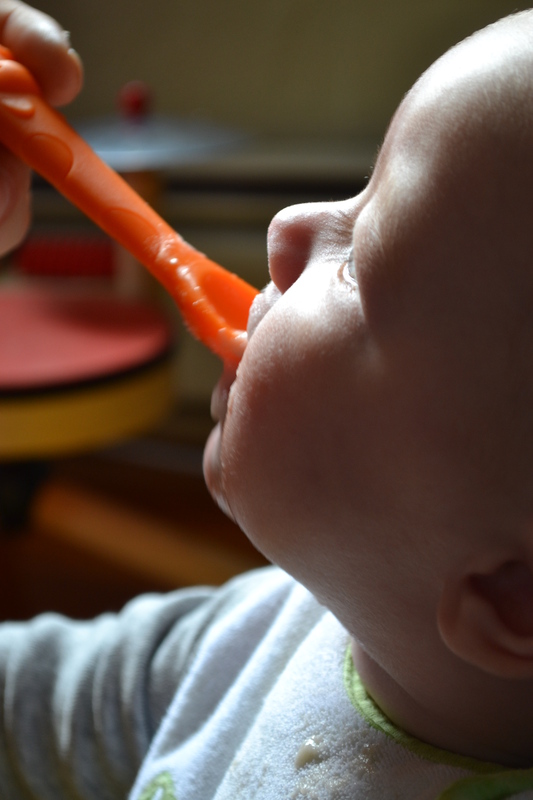 Some great firsts are butternut squash or sweet potato. Wait three days before starting a new veggie. This way, if your child is sensitive/allergic to the food (a good way to gauge this would be a diaper rash), you know which food to stop. After a few weeks: green veggies. Some easy green veggies to make are peas, string beans, and avocado. Then…fruit! This is really fun because most babies really love fruit. Thereafter, you can mix it up. Cereal for breakfast perhaps with a carrot/green bean mixture for lunch, and then nectarines for dinner. It has been so fun making food and feeding my little boy. I look forward to meal times and he gets all excited as soon as we put him in his high chair. Something else you’ll need before getting started. You’ll need something to freeze the food in. Some use the ice cube tray method. 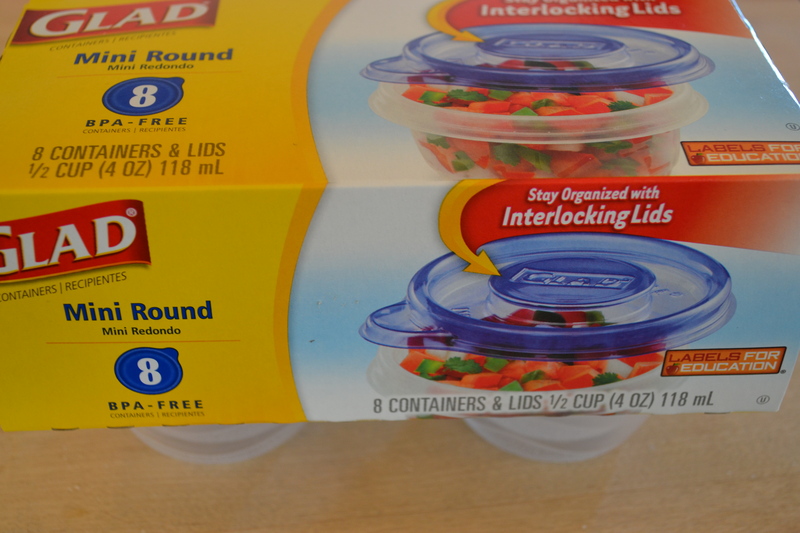 I bought little freezer storage containers. I should also tell you something very key. Once made, the food must be frozen right away. I made the food and then there was a delay with the freezer. So, I ended up throwing away the majority of my first batch of baby food. It was pretty depressing throwing all of that precious food into the compost bin. Also, sharpie takes a while to wash off. 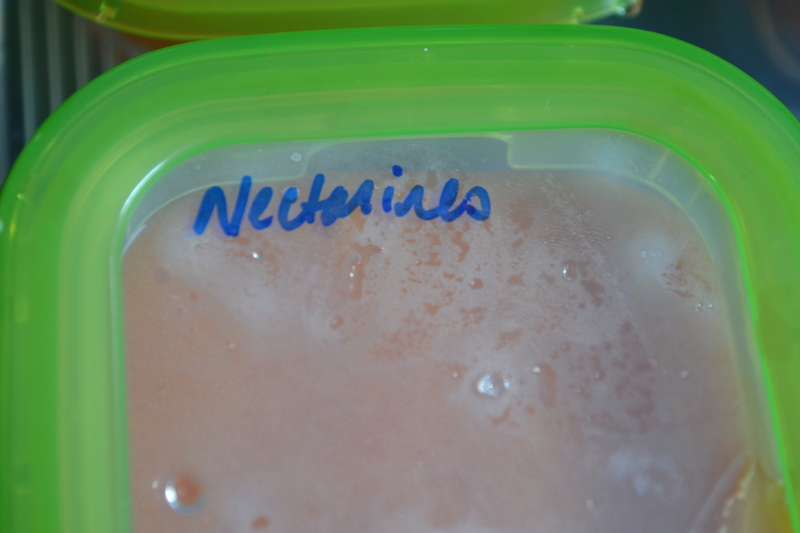 So, rather than write right on the containers, use masking tape to mark what it is and when you made it (as well as your child’s name if you plan to take some of the food to daycare). Enjoy! Have fun. I’ll share some baby food recipes too. I have been thinking of starting a separate blog for parenting/mom-related posts because I’m guessing not all of you love the baby chatter. What do you think? Would you read a 1veggiemom blog? Thank you! My sister Andrea shared this with me and i found all the information very helpful! I am so glad! Thank you! I promise to put some baby recipes up soon. PS Nicole – I did end up starting a separate mom blog – 1veggiemom.wordpress.com. Thanks! Next Posthappy Halloween and…a new sister blog!